I have a bumper crop of Brussels sprouts this year, and I love going out to the garden to snap some off the stem for dinner. 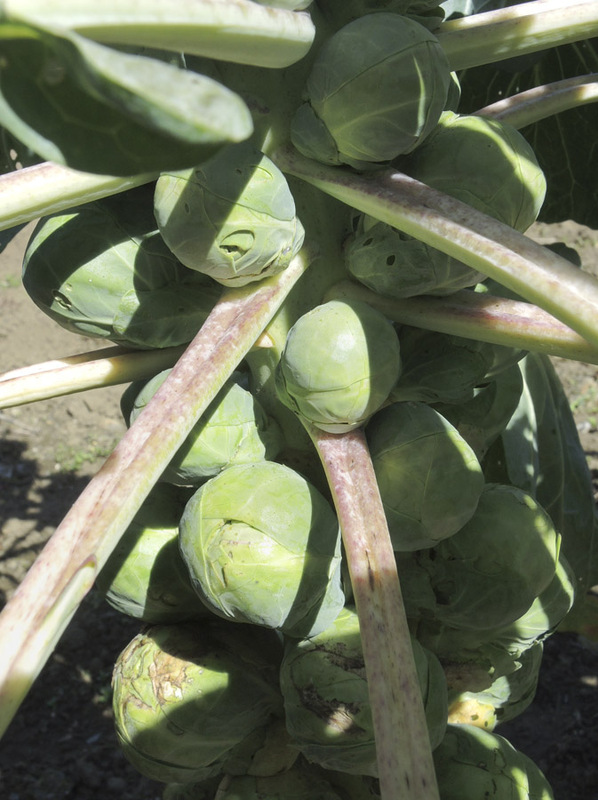 I usually just steam them and eat them with a little butter, which is delicious, especially after the sprouts have been sweetened by frosts. But last week I was in the mood for something different, so I went looking for new recipes. I found this scrumptious and simple recipe from Mark Bittman at the NY Times. 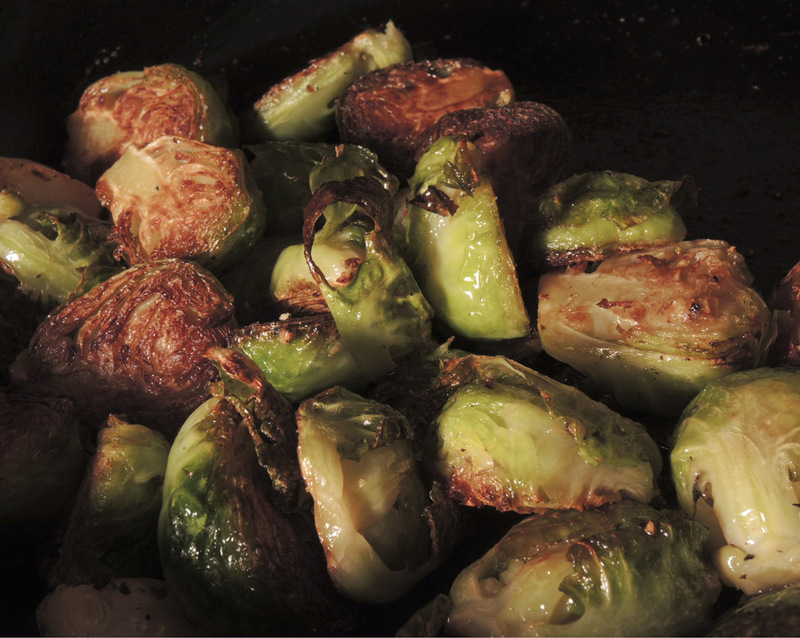 The sprouts are first browned in a cast iron frying pan and then put in the oven for finishing. A cast iron pan is important so it can go from stove top to a hot oven (I have four, in different sizes). If you don't have cast iron, or a pan that can go in the oven, you can brown the sprouts in a pan then transfer them to a baking dish of some sort. The recipe notes that it serves 4, but the way I eat, with vegetables as the entree, it made 2 servings. I had these yummy sprouts last night with a big pile of Spicy Indian Potatoes, and it was a very satisfying meal. Heat oil in pan until it shimmers; put in sprouts cut side down in one layer, add garlic, sprinkle with salt and pepper. Cook, without turning, till sprouts begin to brown on the bottom, then transfer the pan to the oven. Taste, and add more salt and pepper if needed. Stir in the balsamic vinegar and serve hot or warm.